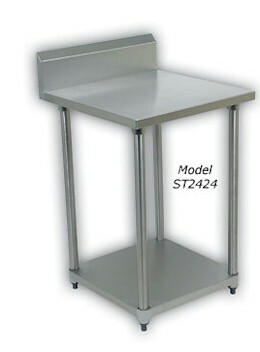 Detecto now offers stainless steel prep tables for institutional kitchens, restaurants, bakeries, or anywhere food is prepared. 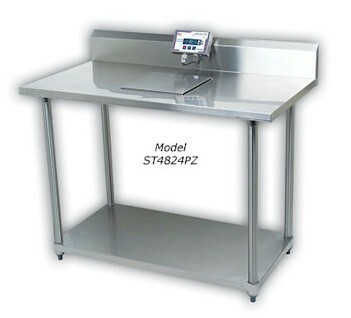 The tables are available with the option of a recessed area for Detecto’s model PZ digital ingredient scales (click here to see the scales). The insert size is 12.5" W x 12.5" D/32 cm W x 32 cm D - the exact fit for a Detecto PZ scale to fi t seamlessly into your table (PZ scale not included).